Jacqueline DelBrocco earned her BFA from Wittenberg University in 2007 and also studied painting in Rome, Italy and at the Cleveland Institute of Art. She has been painting events professionally since 2013. Her experience includes a wide variety of locations including local venues such as The Cleveland Museum of Art, The Western Reserve Historical Society's Crawford Museum and The Rock and Roll Hall of Fame as well as out of state venues from as far West as Seattle, WA to as far East as Baltimore, MD. She first got involved with live event painting through fundraising events for local charities and eventually expanded to weddings, private celebrations, corporate parties and a variety of other events. 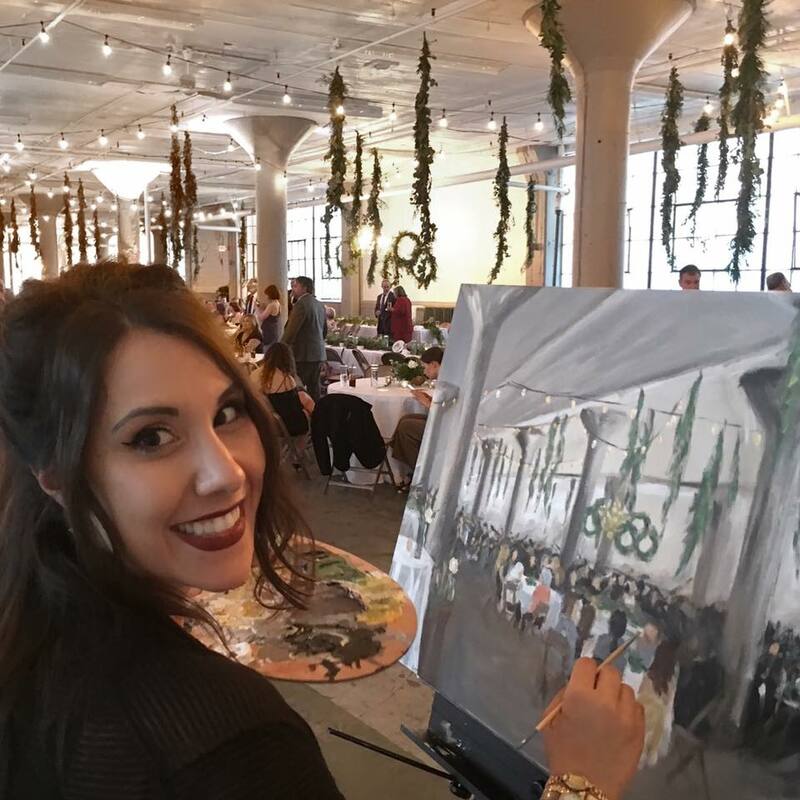 Her live paintings have auctioned for as much as $5,000 and she is available for events in the Cleveland area as well as destination events requiring travel. Jacqueline has shown in galleries, museums and various other venues throughout the Midwest and her paintings are in private collections across the country. Over the last few years, she's traveled to North Carolina, Colorado and California to exhibit her artwork. Her experience in the local Cleveland art community has included everything from gallery direction to large scale multi-media event direction along with public art projects such as murals and outdoor sculpture painting.